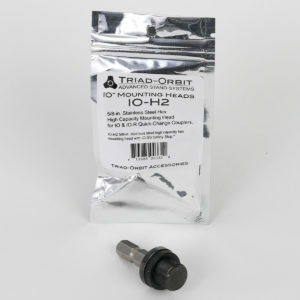 The IO-G is a package which includes our aluminum GoPro adaptor and an IO-H1 brass hex mounting head. It provides instant connectivity to any Triad-Orbit stand, boom or component. Add incredible range of motion to your GoPro camera by mouning the IO-G to Micro M1 or M2 orbital adaptors.